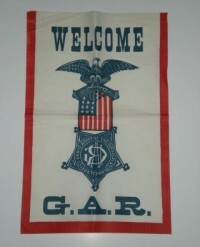 This is a most unusual and rare relic from the Civil War. 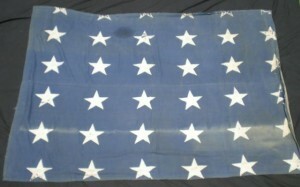 This is a 36 star flag from 1865 that has a rare Confederate butternut blanket sewn to the back to make this a quilt. The stars must have come from a large garrison flag. 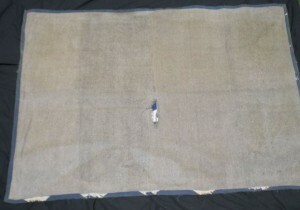 Civil War era blankets are very rare but a Confederate Civil War blanket is even more rare to have. 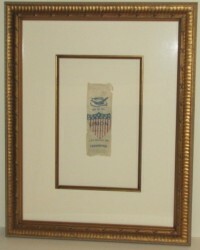 The person who saved these two items most likely was a Civil War Veteran who saved the flag and the blanket as war keepsakes. Very rare, Very unusual. Please refer to the item number when requesting prices. Flag Rarity Rating; 3 On a scale of 1 to 5, 5 being the rarest This flag rates a 3 and is priced accordingly. 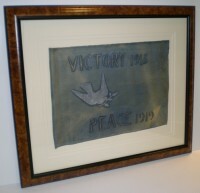 Each framed flag has archival framing. Email for price and shipping. Each flag comes with a Certificate of Authenticity.